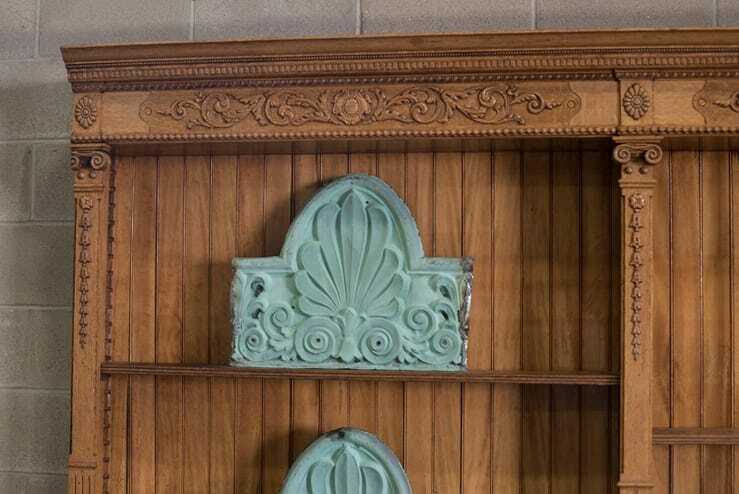 Large turn-of-the-century oak apothecary cabinet from a pharmacy in New Jersey. Carved appliques ornament the top. 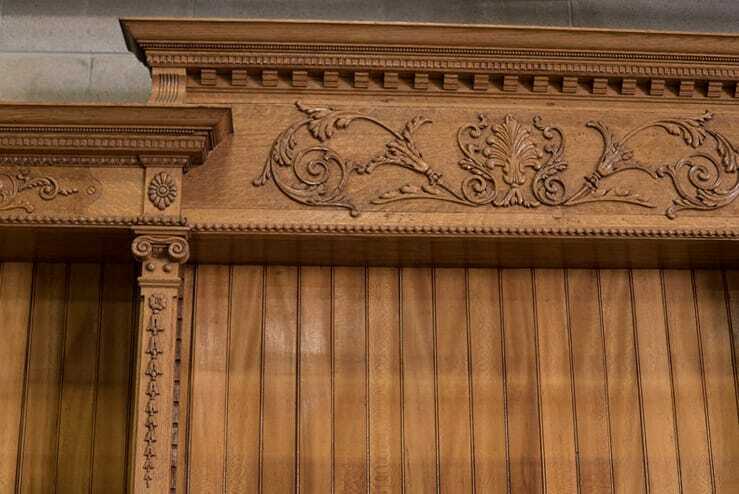 Ionic pillasters divide the five cupboards. Each section is backed in beadboard and there are several adjustable shelves. 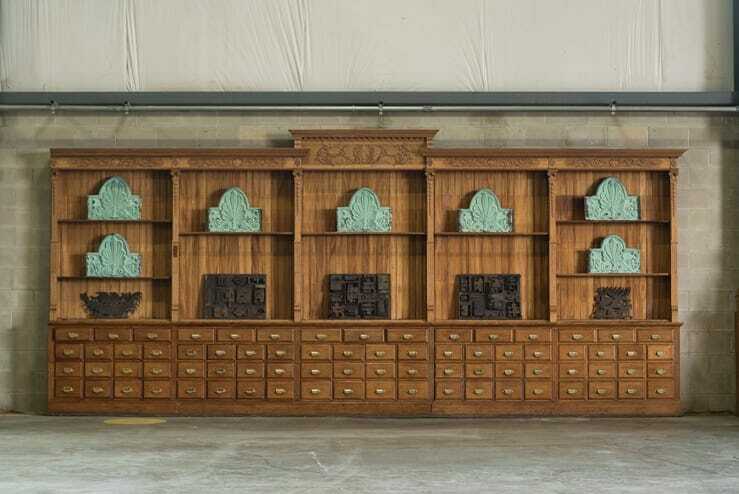 The lower section has four rows of drawers with ornate metal pulls. 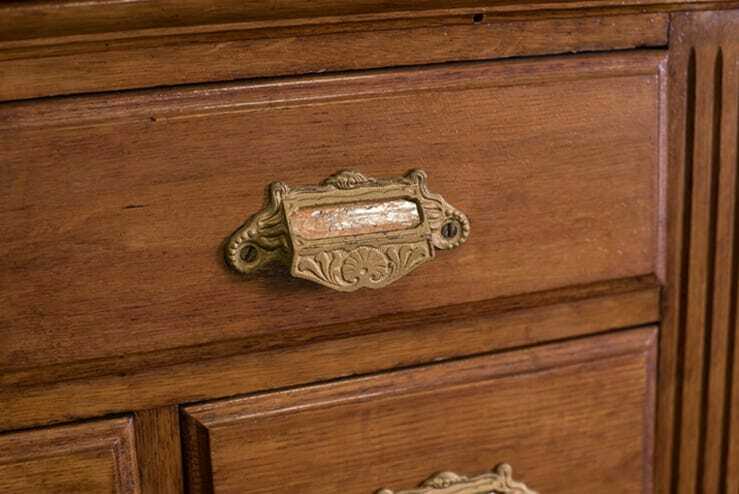 The original handwritten labels remain on the drawers and reveal the contents that were once inside (powder puffs, lozenges, cocoa butter wax, …).